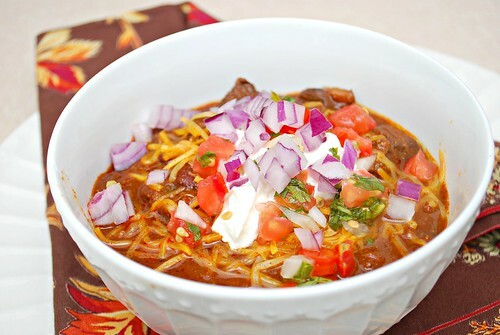 Most chili recipes I've made involved beef but this one is specifically pork. Ground pork and pork shoulder are used. It's extremely flavorful - thanks to the blend of spices and ham hock - and despite the list of ingredients, it really is easy and quick to put together. Besides, it's a slow cooker recipe and it's hard not to love the little effort needed as it cooks on its own for hours! Heat a large nonstick skillet over medium-high heat. Coat pan with cooking spray. Add ground pork to pan; cook 5 minutes or until browned, stirring to slightly crumble. Drain well and transfer pork to an electric slow cooker. Coat pan with cooking spray again. Add pork shoulder; cook 5 minutes to sear until lightly browned, turning occasionally. Transfer pork to slow cooker. Coat pan with cooking spray one more time. Add onion and bell pepper; sauté 8 minutes, stirring frequently. Add garlic; sauté 1 minute. Add tomato paste; cook 1 minute, stirring constantly. Stir in beer; cook 1 minute. Transfer onion mixture to slow cooker. Add chili powder, and next 9 ingredients (through ham hock) to slow cooker. Cover and cook on HIGH 5 hours or until meat is tender. Remove and discard bay leaves and ham hock. Stir in sugar. Ladle about 1 1/3 cups chili into each of 8 bowls; top each serving with assorted toppings as desired. 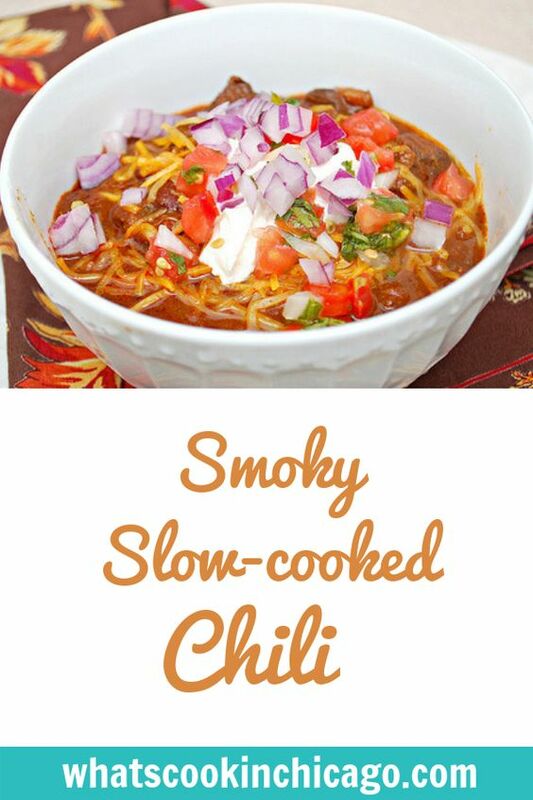 I love the versatility of chili.